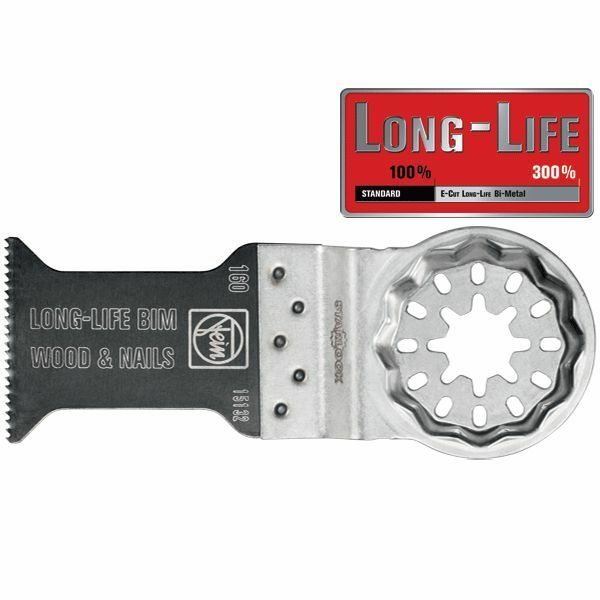 This 1-3/8" Wide Long-Life bimetal steel blade is excellent for plunge cutting hardwood and undercutting door jambs (cuts through nails, staples and cleats). Also cuts laminate, drywall and plastic. Lasts up to three times longer than standard blades. 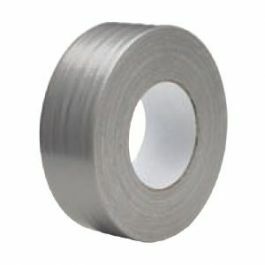 This Long-Life bimetal steel Blade has the same fine tooth design and shape as the Standard Series Blades for smooth, fast cutting. 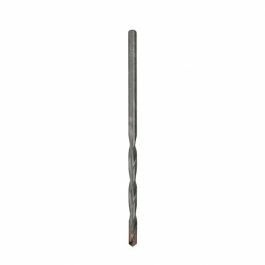 It is the best option for plunge cutting hardwood and undercutting wood door jambs as it will also easily cut nails (up to 3/16" in diameter), staples and cleats. The dovetail shape of these blades makes cutting of the tongue easier when plunge cutting hardwood. 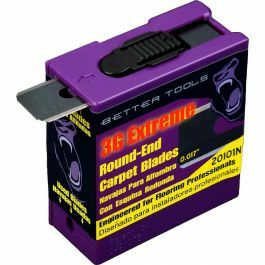 This robust Blade will last up to three times longer than the Standard Series Blades and can also cut laminate flooring, drywall and plastic. Blade has an offset mounting flange for flush cutting and can cut all the way into corners.